Today’s post is one that is highly luxurious. 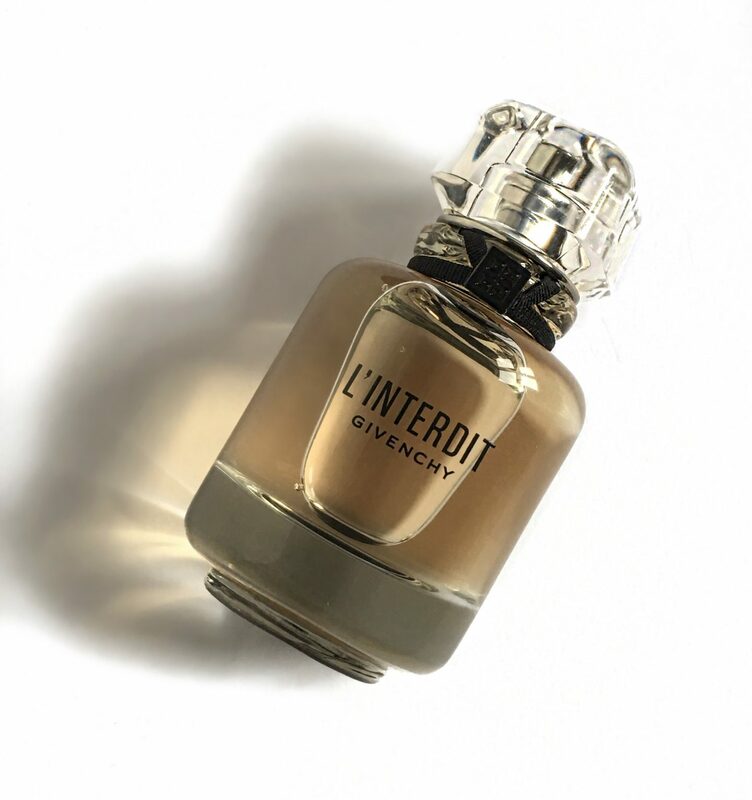 Putting a new spin on the original Givenchy L’Interdit Eau de Parfum. I was eager to test out this heavily raved about fragrance. 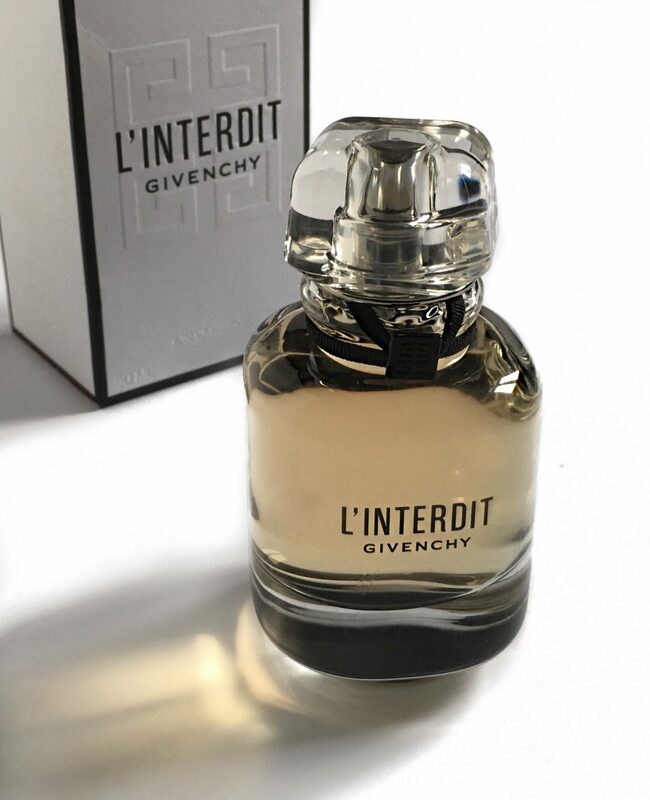 Granted, I have not tried the original fragrance and the new Givenchy L’Interdit Eau de Parfum is a new addition to my collection. This is more of a first impression. 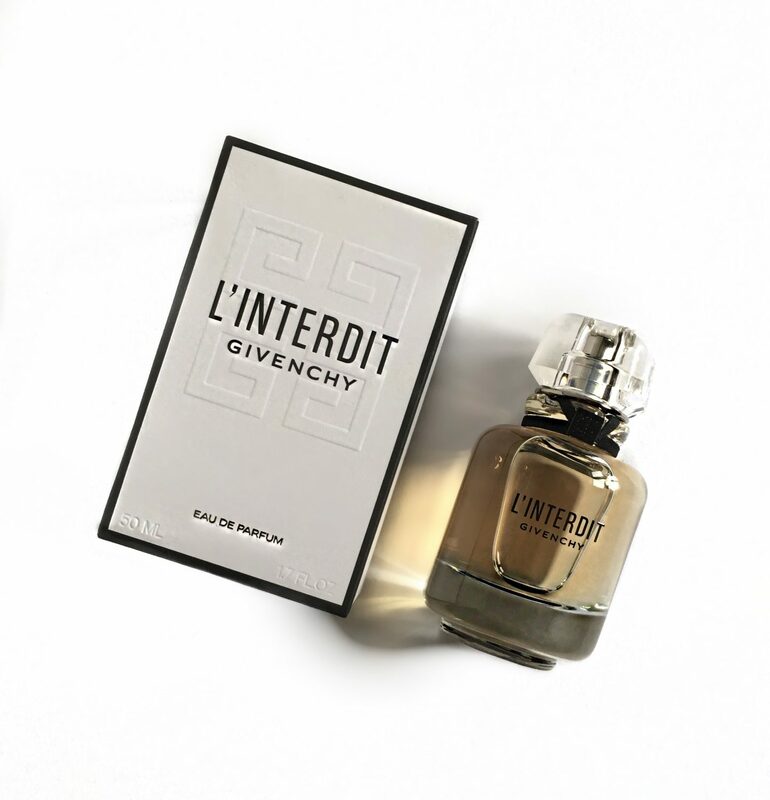 The Givenchy L’Interdit fragrance comes packaged in a simple yet elegant glass bottle. 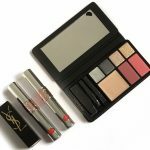 The rounded corners give it a soft look, which pairs wonderfully with the white tea like tint of the perfume. The opening notes are that of orange blossom. It dries down to jasmine, vetiver, and patchouli. 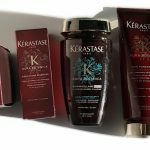 The scent is definitely on the lighter end, which is ideal for day time. It’s also best described as a light floral fragrance. 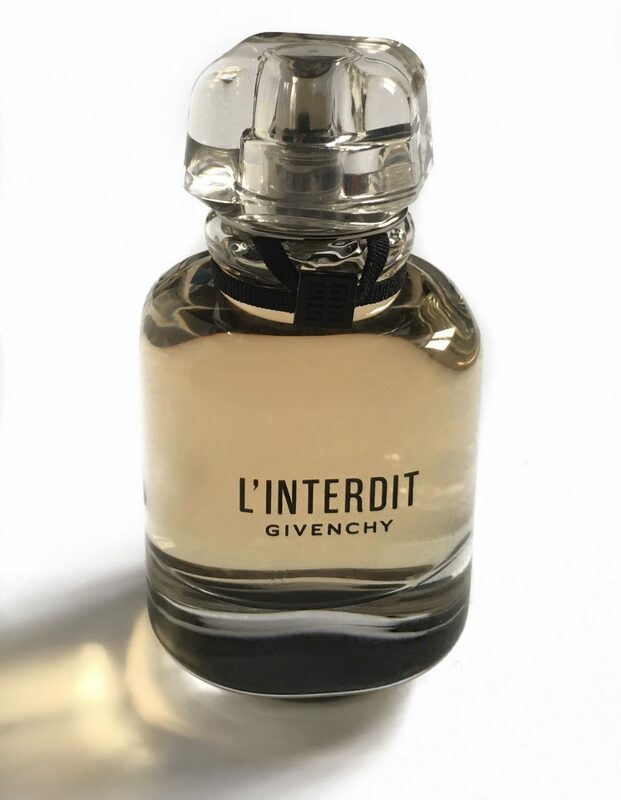 Givenchy L’Interdit Eau de Parfum retails for $80 CAD for 35 ml, $112 CAD for 50 ml and $131 CAD for 80 ml, and is available in stores and online at Sephora, Shoppers Drug Mart, Hudson’s Bay and Holt Renfrew.